Sarah Vargo of Maven proudly announces the next Diva Series, to honor influential and successful women in Business, PR, Media, Fashion, Fitness, Beauty, Lifestyle and much more. These women are at the heart of publicity and entertainment, and Kurman Communications president Cindy Kurman is honored as a Diva AKA Media Maven! Celebrate with the cocktail party for these dynamic women 6 p.m. - 9 p.m. Thursday, Feb. 4 at Jbar (610 N. Rush St., Chicago). Small bites and cocktail specials will be available. RSVP to sarah@maven-chicago.com. ...and many more! For more information, visit the Diva Series: Media Mavens Facebook event page. Karma's Cocktails for Groundhog Day: Will it be Spring or Winter? Raise your glass and toast to spring (hopefully!) on Groundhog Day, next Tuesday, Feb. 2 at Karma (510 E. Route 83, Mundelein; 847-970-6900), which offers one-day-only drink specials. If Punxsutawney Phil fails to see his shadow, that means spring is on the way! Try Karma's springtime-themed cocktails, Punxsutawney Sunrise, Karma Tequila, Cointreau Liquor, orange juice and grenadine ($8), and An Early Spring Martini, St. Germaine, Champagne and lime juice ($8). On the other hand, if Punxsutawney Phil sees his shadow, winter is here to stay for another six weeks. Warm up with these cocktails: Buttery Cream Coffee, Butterscotch Schnapps, Godiva White Chocolate Liquor and hot coffee ($8), and Beringer Pinot Noir, which has hints of wood and earthy tones ($9.25). For more information, call Karma at (847) 970-6900 or visit http://www.karmachicago.com/. Follow Karma on Twitter: @Karmamundelein. 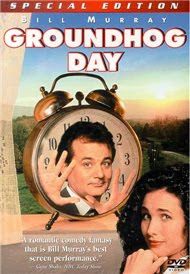 When you hear "Groundhog Day," do you think of the 1993 film starring Bill Murray? Will Punxsutawney Phil see his shadow? Join Glen Prairie in celebrating Groundhog Day at 5 p.m. Tuesday, Feb. 2. Answer trivia questions about the movie for a chance to win prizes, and enjoy complimentary Punxsutawney Phil's Breaded Vegetables with sun-dried tomato aioli at the bar. Enjoy one of Glen Prairie's signature martinis, like the Glen Prairie Martini, organic Prairie Vodka chilled and shaken, served straight up with bleu cheese olives ($9), or Green Orchard Martini, Absolut Pear vodka with Apple Schnapps and a splash of sour, served with an apple slice ($9). For more information, visit call (630) 613-1250 or visit http://www.glenprairie.com/. Beat the cold this weekend by heading indoors to Glen Prairie (1250 Roosevelt Rd., Glen Ellyn; 630-613-1250), which offers dining deals crafted by chef Daniel Ovanin. These farm-fresh specials are available after 5 p.m. Jan. 29 and 30, in addition to the locally-sourced fare featured on the regular menu. 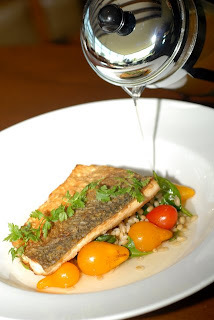 Entrees include Pan Seared Wild Striped Bass, with wild rice pilaf, tomato ragout and charred green onions ($22), and Classic Beef Pot Roast, whipped potatoes, carrots, onion and celery, and pan gravy ($19). For dessert, try Chocolate Hazelnut Cake ($7). Don't forget to make your reservation for Valentine's Day. Glen Prairie offers a special three course prix fixe dinner for the holiday, featuring a choice of Dover Sole or Dietzler Farms New York Strip Steak. The Valentine's Day menu is available Feb. 12, 13 and 14. To make a reservation, call (630) 613-1250 or visit http://www.glenprairie.com/. 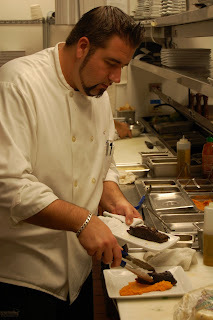 Follow Glen Prairie on Twitter for updates from chef Daniel Ovanin: @GlenPrairie. More than 130 eateries throughout Chicago have prepared special menus for the 3rd Annual Chicago Restaurant Week, a food lover extravaganza Feb. 19-28. Indulge in gourmet three-course, prix fixe meals, just $22 for lunch and $32 for dinner. West Loop favorite Dine (733 W. Madison St., Chicago; 312-602-2100) showcases a special menu, beginning with Baby Arugula with Blue Cheese Salad, with roasted pears, candied walnuts and sherry vinaigrette. Entree choices include Baked Tortellini and Cajun Shrimp, with spinach, Kalamata olives and bechamel sauce, or Farmhouse Chicken in Vinegar Sauce, with crispy pancetta and roasted fingerling potatoes. Enjoy Warm Chocolate Pudding with fresh ginger ice cream for dessert. The menu is offered for lunch ($22) and dinner ($32). Prices are per person and do not include beverage, tax or gratuity. 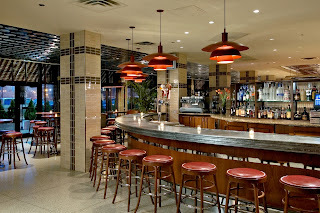 To make a reservation, call (312) 602-2100 or visit http://www.dinerestaurant.com/. Follow Dine on Twitter for updates: @Dinerestaurant. Attention charities and non-profits! Do you have an event or news that you'd like to publicize? Let us help promote it with our new service, FRT- Free Release Tuesdays. What is it? All you have to do is send us news on your upcoming event, including the details-- date/time, location, images, a link to a Web site, etc. We'll pick our top selections and post them on our highly-read blog! Got Buzz receives thousands of page views monthly by consumers and journalists who are looking for things to do and content to feature. KCI is pleased to help you spread the news! Send all materials to kurmanstaff@kurman.com, and remember to follow us on Twitter: @kurmanstaff. Don’t miss appearances from Chicago chefs Grant Achatz, Jennifer Petrusky and Charlie Trotter at the Bocuse d’Or USA final competition Feb. 5 – 6, 2010 hosted by the Culinary Institute of America in Hyde Park, NY. 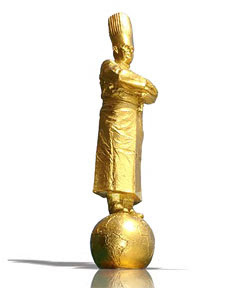 The Bocuse d’Or is an international culinary competition held every two years is Lyon, France. Twenty-four countries are selected to complete and each team must create two elaborate platter presentations focusing on meat and seafood. The winner of the competition will represent the United States at the Bocuse d’Or International Culinary competition in January 2011. The weekend event consists of the final competition to determine the USA’s representative, an awards dinner announcing the winner, many chef demonstrations as well as book signings. The Chicago chefs have a busy weekend ahead: Achatz joins the panel of judges for the final competition and is scheduled for a book signing. Petrusky is the only competitor from Chicago; she represents Charlie Trotter’s Chicago. Trotter himself is there for a culinary demonstration as well as a book signing. All events, excluding the awards dinner, are free and open to the public. For more information about the weekend event and for times, visit www.bocusedorusa.org. As we all know, Haiti has been devastated by an earthquake and estimates are that more than three million people’s lives are in jeopardy. Haitian authorities fear that 140,000 could already be dead. These numbers are increasing on a daily basis as access to fresh water, food, medical aid, shelter, & supplies are incredibly limited. 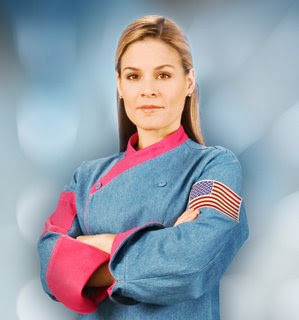 Celebrity chef Cat Cora is reaching out through Chefs For Humanity. Chefs For Humanity has launch an online fundraising campaign for Haiti called “1 MILLION in 1 MONTH”. As president and founder of Chefs For Humanity, Cat has personally taken $10,000 dollars out of her family’s savings. She's reaching out and asking other chefs to match her. The program hopes to get 99 other people or groups to bring in $10,000 each in 1 month. She's urging everyone to utilize their social and corporate Web sites to ask friends, family members, sponsors, companies that you endorse, TV associates and anyone else to get involved. "If 99 people reading this post approached 10 of your friends or colleagues and asked them to donate $1,000 each... think if it, we will raise $1 million for Haiti right off the bat," Cora says. Chefs for Humanity has partnered with the United Nations World Food Programme (http://www.wfp.org/), which is the United Nations frontline agency in the fight against hunger. Not one cent will be taken from your donation to pay for the cost of this fundraiser, Chefs For Humanity and Cat will personally cover all costs. “Millions of people have lost everything in Haiti. They need your help. Together, Chefs For Humanity and WFP can save lives and provide relief in this tragic situation”. 100% of your dollars will go directly to the WPF to facilitate fundraising for hunger relief in Haiti. CFH has worked with directly with WFP in Nicaragua and Honduras, and has found them to be an extremely effective organization in addressing food and hunger issues worldwide. This is going to be an ongoing challenge, and it will take months of hard work to rebuild and empower Haiti again. We know it will be long process, but at this critical time, every moment counts for the hundreds of thousands of victims suffering without food and water. Please join Cat Cora and Chefs for Humanity in their efforts to save lives, provide aid, and make an impact. Chefs for Humanity (http://www.chefsforhumanity.org/) is a grassroots not-for-profit (501c-3) organization of culinary professionals and educators working in partnership with U.S. and global initiatives, providing emergency feeding relief and hunger aid in times of natural catastrophe. Our Chefs Corps volunteer their time, expertise, culinary, & nutritional knowledge work to support national and world-wide relief programs working to reduce hunger. If you're up for some unusual entertainment, check out the Chicago Human Rhythm Project (CHRP). CHRP is our country's premier organization specializing in concert tap and contemporary percussive dance, and it's based in Chicago. Kurman's president has long been a fan and supporter. A former tap dancer (and tap teacher! ), Cindy thinks that everyone in Chicago (and beyond) should experience CHRP often. Here's their lineup. Come take classes with CHRP’s world class faculty from Feb. 5 – 7, 2010 at the Fine Arts Building (410 S. Michigan Ave., Chicago). The weekend event offers three days of masterclasses as well as classes designed just for teachers. All tappers 18 years and younger should consider auditioning for the Leo Harris Tap Scholarship Program. $20,000 in scholarships to CHRP’s summer festival will be rewarded. Events for the weekend include a Tap Jam Friday night, a tap video talk and student showcase on Saturday and a faculty panel discussion on Sunday. Closing out the weekend JAMboree on Sunday Feb. 7, you can help judge in the Leo Harris Tap Scholarship Audition. Come and vote for one winner to receive a $1,000 scholarship to attend CHRP’s summer festival, RHYTHM WORLD, from July 26 – August 8, 2010. BILLY ELLIOT the Musical is back in Chicago. The musical begins performances at the Ford Center/Oriental Theatre (24 West Randolph Street, Chicago; 312-902-1400) on March 18. Billy Elliot has been named “Best Musical of the Decade” by Time Magazine. CHRP is honored to have the dance captain from the Chicago production of Billy Elliot be a guest judge for the Leo Harris Tap Scholarship Audition. 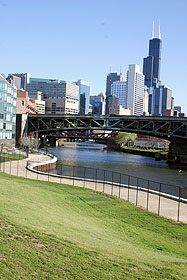 For more information about these events, please visit http://www.chicagotap.org/ or call (773) 281-1825. [Side note] Attention all charities and non-profits: Do you have an event or news that you'd like to publicize? 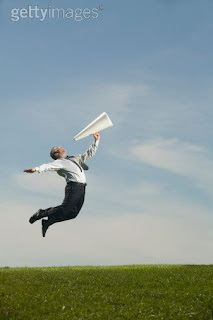 Here at Kurman Communications, we are proud to announce FRT- Free Release Tuesdays. Send us news on your upcoming event, including links, photos, etc. We'll pick our top selections and post them right here on the Got Buzz blog! Got Buzz receives thousands of page views monthly by consumers and journalists who are looking for things to do and content to feature. KCI is pleased to help you spread the news! Come to Chicago's premier charitable wine tasting event, the annual d’Vine Affair Catholic Charities Wine Tasting event 2 – 5 p.m. Sunday, Jan. 31 at the Union League Club of Chicago (65 W Jackson Blvd, Chicago). More than 250 wines from 50 vintners all around the world are available for you to taste. All proceeds from this event benefit the Catholic Charities Self-Sufficiency Programs, which help low-income and disadvantages individuals get back on their feet. Tickets are available at www.catholiccharities.net/dvine. We're always happy to work with such great journalists and reporters in this industry. One such media is Ralph Pancetta, successful West Coast chef and restaurant manager turned Chicago area restaurant critic for www.ralphpancetta.com and www.OntheFox.com. Pancetta recently posted a round up of the Top 10 Restaurants he visited in 2009 and we're happy to say that FIVE Kurman clients made the cut, two of which tied for the No. 1 spot. 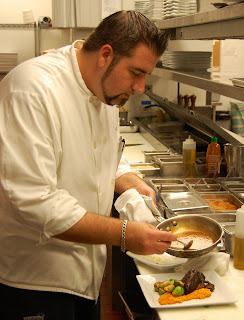 Read about the rest of Ralph Pancetta's favorite restaurants and other reviews for 2009 here. The River North Business Association has announced its nominees for its annual "River North's Best" Awards. We are happy to announce that Kurman Communications, Inc., a long-time member of RNBA has been nominated in the "Best Business or Service" category. We encourage you to vote early and vote often until February 10 at 10:45 p.m. Winners will be announced shortly after at the RNBA annual meeting. Kurman Communications, Inc.'s president Cindy Kurman has been on the Executive Board of Directors of the River North Business Association for eight years. She also contributes a lot of her time and our company's creative to helping the RNBA in its marketing and event efforts. As a member of the Marketing Committee this past year, Kurman was instrumental in working with the rebranding efforts of the association. Along with her team at Kurman, Cindy was also instrumental in organizing and marketing the highly successful OctoberFeast event last fall and the annual holiday party Jingle & Mingle. Since Kurman's time on the RNBA Board, she has volunteered her time and utilized her resources to promote and publicize all of RNBA's fundraising events and announcements. She also was co-chaired the last River North Rendezvous. Behind the scenes, she introduced the group to Twitter, setting up @RiverNorthChi as a way to grow its exposure as well as creating its Facebook fan page. We urge you to follow them and to become a friend if you haven't already done so! Vote here for the River North's Best Awards. Voting is unlimited! Time is running out to vote for your favorite Chicago restaurants on Zagat. Zagat's trademark Ratings & Reviews are based entirely on the honest opinions of thousands of people who enjoy dining out in Chicago's vibrant dining scene. Share your experience with Zagat by voting anytime now through Jan. 31. Vote for your favorite Chicago restaurants and bars by visiting Zagat's voting page. The best part? After voting, you can choose a free gift, including a chance to win Zagat's "Night On The Town" Sweepstakes worth $500. Vote for all your favorites, including Kurman clients and friends Birch River Grill, Dine, Glen Prairie, Karma, Restaurant Michael, Deleece, Chicago Diner and Maxwell's at the Club. Any questions? Contact Zagat: chicagoeats@zagat.com. Cast your votes! Ever imagined a dream vacation sailing the Caribbean or attending the Food & Wine Classic in Aspen? Now you have the opportunity! The Food Network South Beach Wine & Food Festival Online Auction presented by The Brandman Agency opens today and remains open until March 8. All proceeds benefit Florida International University’s School of Hospitality & Tourism Management Teaching Restaurant and its Southern Wine and Spirits Beverage Management Center. • A four day stay in southern Provence at the Chateau d’Esclans valued at $4,000. • Champagne by Louis Roederer: Cristal Rose 2002 valued at $12,000. • Private cooking class and gourmet lunch in the Food Network Kitchens. Join Glen Prairie (1250 Roosevelt Rd., Glen Ellyn; 630-613-1250) for farm-fresh dining deals crafted by executive chef Daniel Ovanin, featuring ingredients sourced from area farmers and ranchers. These deals are offered in addition to the regular menu Jan. 22 and 23, so don't miss out. Try Pan Seared Pork Chops, sweet potato latkes, glazed baby carrots and maple gastrique ($20) or Miller Farms Amish Chicken "Coq Au Vin", pan browned potatoes, pearl onions, carrots, celery and mushrooms ($21). These specials won't last long, so make your reservation today by calling (630) 613-1250 or visiting http://www.glenprairie.com/. Follow Glen Prairie on Twitter: @glenprairie. Have you made your weekend plans yet? Head to Birch River Grill (75 W. Algonquin Rd., Arlington Heights; 847-427-4242) for executive chef John Ayaleanos's special prix fixe menu, offered now through Thursday, Jan. 28 for just $20. Start with Julienne Vegetable Slaw, julienne iceberg and Romaine lettuces, red and green bell peppers, carrots, cucumbers and red onions tossed with honey mustard dressing, or Granny Apple & Onion Soup, melted Wisconsin provolone and Swiss cheese crust with baked apple crisps. Horseradish Crusted Tilapia is the entree, served with Southwest white bean stew, sauteed spinach and crispy potato strings. Indulge the sweet tooth with Berry Sorbet for dessert. This is a dining deal that won't break your budget, so make your reservation today! Call (847) 427-4242 or visit http://www.birchrivergrill.com/. Follow Birch River Grill on Twitter: @birchrivergrill. 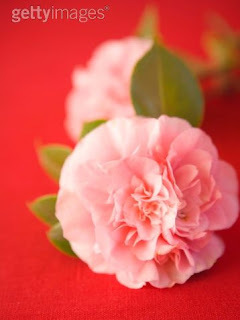 Romance is alive during Valentine’s Day, Sunday, Feb. 14 at tranquil pan-Asian restaurant Karma (510 E. Route 83, Mundelein; 847-970-6900). Start with Miso Soup with tofu and roasted nori, then enjoy Karma House Salad, crisp lettuce, napa cabbage, cucumber, daikon and carrot ginger dressing. Entrée selections include Five Spice Chicken, Jasmine rice, baby vegetables and crispy onions, Tamarind Glazed Mahi Mahi, parsnip mashed potatoes, baby vegetables and parsnip shoestrings, and Oden – Winter Stew, a rich broth of konbu, tofu, turnips, carrots, shiitake mushrooms, eggs and scallions. Indulge in a Warm Heart-Shaped Chocolate Brownie with Tahitian vanilla ice cream, fresh berries and coconut crème for dessert. The menu is $29 per person. 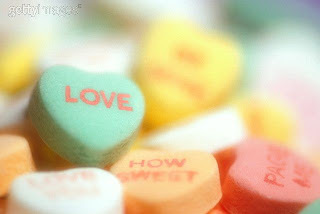 Call Karma at (847) 970-6900 or visit http://www.karmachicago.com/ to make your reservation with your sweetheart. 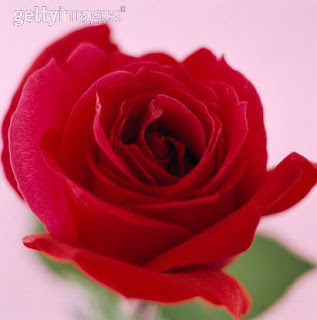 Spend a romantic Valentine's Day at Glen Prairie (1250 Roosevelt Rd., Glen Ellyn; 630-613-1250). The restaurant offers a three course prix fixe menu after 5 p.m. Feb. 12, 13 and 14. Appetizer choices include You Got Me All Wrapped Up, asparagus spears and shaved Prosciutto, wild mushrooms, Pepato cheese and truffle balsamic vinaigrette, or Cuddle With Me Soup, potato leek. Second course choices are My “Sole” Mate, seared Dover sole, julienne vegetables, Hen of the Woods mushrooms, sun-dried tomato herb butter and whipped potatoes, or Not Just a Tease “Strip” Steak, Dietzler Farms New York strip steak, baked Yukon Gold potato, buttermilk fried onions and creamed organic spinach. Dessert includes It’s Orgasmic, flourless chocolate cake and vanilla bean gelato, or Apple of Your Eye, Granny Smith apple pie and cinnamon gelato. The meal is $36 per person, and available after 5 p.m. in addition to Glen Prairie's regular menu. Make it a weekend event with the adjacent Crowne Plaza Glen Ellyn’s Valentine’s Day package, a one-night stay with deluxe accommodations and dinner for two at Glen Prairie, for just $150. Check-in must be Feb. 12, 13 or 14, guests must be 21 or older, and the price excludes taxes and gratuities. Book the package by calling Glen Prairie at (630) 613-1250. 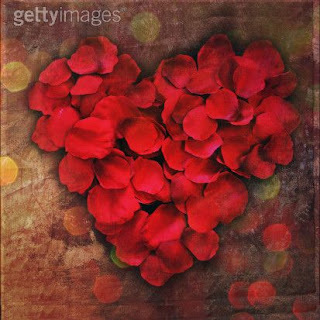 Spend Valentine’s Day, Feb. 14, at Dine (733 W. Madison St., Chicago; 312-602-2100) for a romantic evening for two. Start with Shrimp Bisque with crème fraiche and Field Greens and Sherry Vinaigrette with goat cheese and candied pecans. For the main course, choose either Grilled Filet, bed of beet risotto and asparagus, or Poached Salmon, egg noodles, Asian vegetables and tomato broth. On the sweet side, indulge in Dine’s Signature Red Velvet Cake, candied pecans and strawberry compote, or Chocolate Dipped Strawberries with white and dark chocolate tuxedos, for dessert. The special menu is $60 per couple. Make your reservation today by calling (312) 602-2100 or visit http://www.dinerestaurant.com/. Valentine’s Day is quickly approaching, so brush up on the sweet talking, and let Restaurant Michael do the cooking. On Sunday, February 14, enjoy a Three-Course Prix Fixe Dinner for $59 per person including Charles de Frere NV Sparkling Rose from the Loire Valley in France. The first seatings are at 5:30 p.m. and 6 p.m., the second seatings at 7:30 p.m. and 8 p.m. and the third seating from 9 p.m. and on. The menu includes a choice of appetizer, entrée and dessert. Please note that reservations are required and space is limited. In an effort not to overbook, only 100 reservations will be taken by calling Restaurant Michael at (847) 441-3100. Credit cards are required to confirm the reservation. 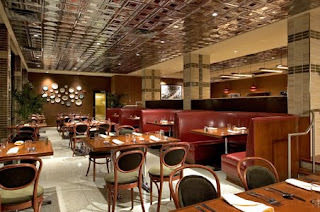 Restaurant Michael offers its regular a la carte menu and service on Friday, February 11 and Saturday, February 13. 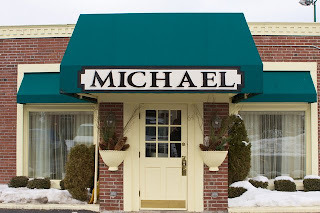 Restaurant Michael is located at 64 Green Bay Rd. in Winnetka, Ill. serving classic haute cuisine in a contemporary presentation with French Country flair. Complimentary parking is available. Major credit cards are accepted. For more information, please visit www.restaurantmichael.com. Looking to have a romantic weekend for two this Valentine's Day? Celebrate at Birch River Grill (75 W. Algonquin Rd., Arlington Heights; 847-427-4242), which offers a special three course menu the entire weekend of the romantic holiday. Offered after 11 a.m. Feb. 12, 13 and 14, the menu is $28.95 per person. Start with Tomato Bisque, then choose an entrée: Grilled Sirloin Steak, sweet potato puree, wild mushrooms and blood orange syrup, or Pecan Crusted Walleyed Pike, white asparagus, baby carrots, kiln dried cranberry wild rice pilaf. Share Chocolate Lava Cake with vanilla bean ice cream and chocolate ganache for dessert. Make a weekend out of it with the Doubletree Hotel Chicago-Arlington Heights Valentine’s Day package. The package includes luxurious hotel accommodations, with a box of chocolates in-room upon arrival, with a special Valentine’s Dinner for 2 (excludes alcoholic beverages) at adjacent restaurant Birch River Grill. The next morning, wake up with breakfast at Birch River Grill. Packages start at $169. To make reservations, call (847) 472-4242 or visit http://www.birchrivergrill.com/. Follow Birch River Grill on Twitter: @birchrivergrill. What are your weekend plans? Enjoy a three course meal without breaking the bank at West Loop neighborhood restaurant Dine (733 W. Madison St., Chicago; 312-602-2100), where chef Alfredo Anaya has prepared a special $20 menu available 4 p.m. - 10 p.m. Jan. 15-17. Start with House Salad, organic baby greens, thyme roasted Bosc pear and cider vinaigrette, or Carrot Ginger Bisque. Then indulge in Cod Tempura, with egg noodles, Asian vegetables and lemon grass tomato broth. For dessert, enjoy Choice of Homemade Ice Cream or Sorbet (black walnut ice cream, Jasmine rice ice cream or fresh mango sorbet). Check out the restaurant's classic American dishes on the regular menu, also offered this weekend. Call (312) 602-2100 or visit http://www.dinerestaurant.com/. Restaurant Michael has been named to the Top 100 Best Restaurants in Chicago by Where the Locals Eat, a nationally distributed restaurant guide. Where the Locals Eat selects its restaurants based on surveys from local foodies and restaurant connoisseurs uncovering both well-known favorites and hidden gems, striving to stay away from chains and focus on the local, independent successes. Where the Locals Eat has a restaurant guide for the top 50 cities in the United States. Visit Where the Locals Eat to learn more about Restaurant Michael and what other restaurants it has deemed ‘top notch’ in the Windy City. News: Cookwork, social network for professional chefs, ready to serve you! Cookwork is a new social network focused entirely (and exclusively) on chefs and culinary students. The site, which is the first holistic web portal for chefs, offers culinary professionals a chance to excel at their job by providing support, information, career opportunities, peer networking, products and services. A life in food service is not an easy one. It means long hours, missed holidays and weekends and tremendous pressure. It's more than a career, it's a lifestyle. So, why does one choose this lifestyle? "Because they love food. There's no greater happiness for a chef than someone who enjoys what they've prepared," says Mário Braz de Matos, Cookwork co-founder. Cookwork was designed to fit the lifestyle needs of chefs on their terms. The site hosts a recipe database where members can store their recipes in an easily downloadable format--for free. In addition, the sign up process allows members to answer specific questions to further customize their experience. Launched out of beta July 2009, the site was founded by Mário Braz de Matos, Francisco Loureiro and Michal Schlierer who saw a deficiency in online resources for chefs. While the three founders have diverse areas of expertise: marketing, technology and, of course, culinary, they share a love of all things food. "My passion for food is only rivaled by my passion for understanding cultures. The way chefs come up with new menu items and what makes those items successful fascinates me. I also think it's interesting to see how and what chefs discuss with each other," says Braz de Matos. Cookwork is the place to share your knowledge and skill with others in the industry. Join the Cookwork community by signing up at: http://bit.ly/cwklaunch. Follow them on Twitter at @ChefCWK and @Cookwork. Head to Karma (510 E. ROute 83, Mundelein; 847-970-6900) for the January prix fixe menu, a three course meal offer all month for just $20. Start with Miso Soup, tofu and roasted nori, or Karma House Salad, crisp lettuce, napa cabbage, cucumber, daikon and carrot ginger dressing. Entrées include Orange Peel Tempura Chicken, sesame jasmine rice, ginger chili cucumber salad and Yuzu orange glaze, or Yellow Mango Vegetable Curry, spring vegetables tossed with coconut yellow curry, jasmine rice and kimchi. For dessert, enjoy Trio of Sorbet or Ice Cream with fresh berries. 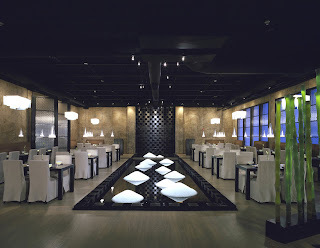 Make your reservation at Karma today! These specials last through Jan. 31. Call (847) 970-6900 or visit http://www.karmachicago.com/. Follow Karma on Twitter: @karmamundelein. Watch the Super Bowl with family friends at Glen Prairie (1250 Roosevelt Rd., Glen Ellyn; 630-613-1250) Sunday, Feb. 7, and enjoy the restaurant’s special dining deals. During the game, all Miller and Budweiser bottles are Half Price. During halftime, enjoy complimentary appetizers in the lounge, including Buffalo Wings, Quesadillas and Mini Eggrolls. Questions? Concerns? 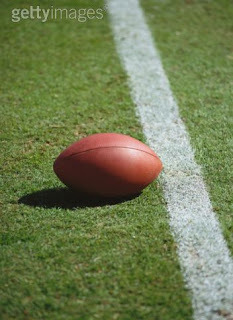 Want to reserve your spot for the Big Game at Glen Prairie? Call or visit online to make a reservation: (630) 613-1250 or http://www.glenprairie.com/. It's never too early to make plans for the Super Bowl! 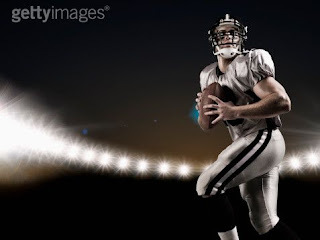 Join Dine (733 W. Madison St., Chicago; 312-602-2100) for the Big Game Sunday, Feb. 7, and watch on Dine’s HD-TV’s while sampling the complimentary appetizer buffet and sipping drink specials. Win prizes during the raffle drawing each quarter of the game. The Complimentary Appetizer Buffet includes a Nacho Bar, Chili Bar, Chips and Dips, and Pretzels. Drink Specials include $3 Miller Lite Bottles and Coors Light Bottles; $4 Hail Mary’s, and $5 Pepper Bloody Mary’s, 312 Beer Mosas and Man Mosas. 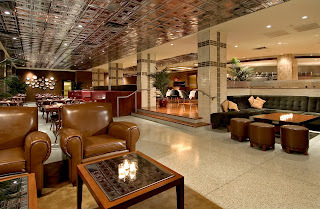 For more information or to make a reservation, call (312) 602-2100 or visit http://www.dinerestaurant.com/. Follow Dine on Twitter: @dinerestaurant. Bring friends and family to Birch River Grill (75 W. Algonquin Rd., Arlington Heights; 847-427-4242) to watch the Super Bowl, Sunday, Feb. 7. Enjoy $3 dining and drink deals all day long: Draft Beer, BRG Wild Game Chili, Hot Dog & Fries, ½ Dozen Chicken Wings, Chicken Fingers and Cheese Sticks, just $3 each. Complimentary chips and salsa are available for everyone. 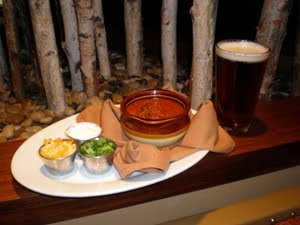 For more information or to make a reservation, call (847) 427-4242 or visit http://www.birchrivergrill.com/. Follow Birch River Grill on Twitter: @Birchrivergrill. On December 16, 2009, Sideshow Theatre Company and The New Colony, two young, storefront theatre companies in Chicago, were awarded $25,000 each from Chase Bank. By harnessing the power of social media, both companies competed in a national pool of more than 200,000 non-profit organizations and collected enough votes on Facebook to successfully break the Top 100 charities and secure these grants. The grant is a huge achievement for both Sideshow and The New Colony, and the largest single grant awarded for either company to date. Only five theatres were awarded the grant nationwide, and Sideshow and New Colony are the only Chicago based theatre companies. Both companies were founded in Chicago in 2007. Starting January 15, 2010, Sideshow and New Colony will compete against 98 other charities in Round 2 of the Chase Community Giving Grant, competing for the most votes and a chance at $1 million dollars in funding. The top five runners-up will receive $100,000 each, in addition to the $25,000 awarded in Round 1. Voting runs through January 22, 2010 and the Chase Community Giving Application will display a live leader board to track the Top 100 during the week of voting. For Round 2, the two companies are joining forces to cross-pollinate and gather support from both audience bases and the Chicago theater community, with the hopes of helping each other remain competitive in voting for the second round. By partnering together, Sideshow and The New Colony aim to strengthen the storefront theatre and emerging artist community in Chicago. While both organizations’ $1Million Big Ideas are not officially revealed until January 11 on Facebook, Sideshow and The New Colony are both focusing on investing in resources and development that will benefit the entire community of smaller storefronts in Chicago as well. Further, both companies are interested in cultivating new theatre audiences in Chicago, by making it easier, cheaper and more engaging for people to venture out and see a show. Voting in Round 2 of the Chase Community Giving Grant is the fastest and easiest way for anyone to support a variety of amazing causes, including homegrown, locally based theatre. To find out more about the Top 100 charities and vote on Facebook, visit http://apps.facebook.com/chasecommunitygiving/. Individuals must become a fan of the Chase Community Giving Grant to be eligible to vote, and will receive a total of five votes, limited to one vote per organization. To learn more about Sideshow’s $1Million Big Idea and cast your vote, visit www.sideshowtheatre.org/chase. To learn more about The New Colony’s $1Million Big IDea and vote, visit www.thenewcolony.org/chase. Sideshow Theatre Company NFP is an Illinois-based company incorporated in November 2007, whose mission is to mine the collective unconscious of the world we live in with limitless curiosity, drawing inspiration from the stories, memories and images we all share to spark new conversation and bring our audience together as adventurers in a communal experience of exploration. Sideshow’s first production, Dante Dies!! (and then things get weird) by Walt McGough was hailed by the Daily Tribune as ‘vivid, intimate, and visually arresting’ and Time Out Chicago called Sideshow ‘impressive young talent at play.’ Since then Sideshow has produced three world premiere plays, including Everything Freezes, another winter’s tale by Walt McGough and Jonathan L. Green, and Ekphrasis: Cave Walls to Soup Cans, by E. Warren Perry Jr. Sideshow also produces CLLAW, the Chicago League of Lady Arm Wrestlers, an interactive fundraising event that benefits Sideshow Theatre Company and several other local charities. Past events have benefited Cornerstone Community Outreach, Chicago Arts Partnerships in Education, and New Leash on Life Animal Shelter. Sideshow Theatre Company is launching an Actor Workshop Series in February 2010, providing extremely affordable classes on performance and devising original work. Sideshow’s next production, Medea with Child by Pulitzer Prize nominee Janet Burroway, opens March 18, 2010 at La Costa Theatre at 3931 N Elston Ave. Chicago, IL. For more information on Sideshow Theatre Company, contact Managing Director Megan Smith at megan@sideshowtheatre.org, by phone at 312-206-8959, or visit our website at www.sideshowtheatre.org. Promotional materials including photographs, videos, interviews and other press info available upon request. The New Colony was founded in November 2007 with a mission to collaboratively produce innovative world premiere theater being created by emerging artists for a contemporary audience. After a critically-acclaimed first season, Newcity magazine said of The New Colony, “they embody a self-perpetuating excitement for theater and each other that makes it easy to believe they may change the way new plays are made.” The New Colony’s break-out hit FRAT by Associate Artistic Director Evan Linder was listed as one of the Top Shows of 2009 in the Chicago Tribune, Newcity magazine, and Performink, where they were called “the company that really broke through this year…with three strong shows in a row.” Season Two saw a surge of audience support for The New Colony. Only two weeks after critics praised Calls to Blood, by company founder James Asmus, the show transferred to the Royal George Cabaret theater with a three-week extension. The New Colony’s next production, 11:11, by Evan Linder and Tara Sissom opens in the brand new Studio Theater at the Victory Gardens Biograph. 11:11 is supported in part by Victory Gardens’ Fresh Squezed Series, and opens February 8, running until March 13. Don't let a little snow stop you from having a good time this weekend. Glen Prairie (1250 Roosevelt Rd., Glen Ellyn; 630-613-1250) offers farm-fresh weekend specials, crafted by executive chef Daniel Ovanin. These specials, available after 5 p.m. Jan. 8 and 9, feature ingredients sourced from area farmers and ranchers. Entrees include Pan Seared Pork Tenderloin, with whipped sweet potatoes, bourbon sauce and green beans ($20) and Miller Farms Amish Chicken, with sauteed potato gnocchi and wild mushroom broth ($20). For dessert, try Chocolate Hazelnut Cake with raspberry sauce ($6). Enjoy these specials before it's too late! Make your reservation today. Call (630) 613-1250 or visit http://www.glenprairie.com/. Follow Glen Prairie on Twitter: @GlenPrairie. A crisp winter and mounds of snow hasn't stopped the culinary team at Dine (733 W. Madison St.; 312-602-2100), led by chef Alfredo Anaya, from creating American classics to enjoy this weekend. The three-course prix fixe menu is offered from 4 p.m. until 10 p.m. Jan. 8 through 10. Start with House Salad, organic baby greens, thyme roasted Bosc Pear and cider vinaigrette, or French Onion Soup. The main course is Braised Chicken and Roasted Root Vegetable, with shaved fennel salad and orange supreme. Enjoy a choice of Homemade Ice Cream or Sorbet (black walnut ice cream, Jasmine rice ice cream or fresh mango sorbet) for dessert. The meal is $18 per person. 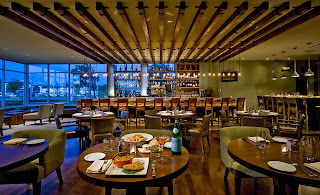 Reservations are recommended, so call (312) 602-2100 or visit http://www.dinerestaurant.com/. Follow Dine on Twitter: @dinerestaurant. Restaurant Michael (64 Green Bay Rd., Winnetka, IL; 847-441-3100) starts 2010 with new events including the return of its French Silver Service menu, the first wine pairing dinner of the new year and new winter hours. Restaurant Michael, known for putting a modern twist on classic French cuisine, had a successful 2009 in part because of the value it provides to its patrons. In an effort to continue this, Restaurant Michael is bringing back its popular Silver Service Menu beginning Tuesday, Jan. 5. The Silver Service menu is a way for guests to sample smaller portions of eight items from Restaurant Michael’s regular menu without paying full price. The entire table must participate in the Silver Service menu, which is $39 per guest. Offered Sunday through Friday, the Silver Service menu features three appetizers, three entrées and two desserts in addition to a petite salad and Restaurant Michael’s signature warm cheese puffs. 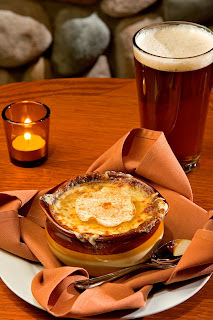 Appetizer selections include Slow Braised Lamb Osso Bucco Ravioli in garlic sauce, Potato Truffle Soup, Exotic Mushroom Custard with morel cream, Beet and Spinach Risotto with Roquefort cheese and Classic Escargot “En Cocette” with garlic and Pernod. The table selects from entrées like Lobster and Dover Sole Ravioli in saffron nage, Roast Tenderloin of Beef with sherry vinegar cream, Sliced Roast Saddle of Bacon Wrapped Rabbit, Sliced Roast Loin of Venison, sauce poivrade and Roast, Stuffed Breast of Guinea Hen. For the dessert course, guests select two from choices like White Chocolate Mousse Bombe, Caramel Apple Tarte Tartin, Raspberry Napolean with Chambord sauce or Grand Marnier Chocolate Truffles and toasted almond biscotti. Each course is served from sparking silver trays tableside by Restaurant Michael’s charming waitstaff. A three-course wine pairing is offered for an additional $14 per person. Chef/owner Michael Lachowicz teams up with De Loach Vineyards of the Russian River Valley in California to host its first wine pairing dinner of the new year at 6:30 p.m. on Thursday, Jan. 21. The guest speaker for the evening is Mr. John Wardzala, the Great Lakes Regional Manager for The Boisset Family of Wines of the Burgundy Region of France. The Boisset Family has taken De Loach to a whole new direction, being recognized as an authority on biodynamic, organic and sustainable wine making practices. This reservation only dinner includes five courses paired with a variety of DeLoach wines including three Russian River Pinot Noirs and one Russian River Chardonnay, as well as Jean Louis French Sparkling Wine with hors d’oeurves. The cost of this wine pairing dinner is $79 per person, excluding tax and gratuity. The regular dinner menu is not offered on this date. 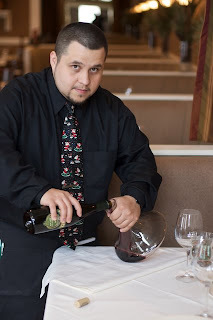 To make a reservation for the wine pairing dinner, contact Restaurant Michael at (847) 441-3100. During the winter season, Restaurant Michael is not open for dinner on Monday evenings and no longer serves lunch on Friday. Restaurant Michael is, however, available for private events on both Mondays and Fridays if interested. Restaurant Michael, located at 64 Green Bay Rd in Winnetka, Ill. 60093, serves classic haute cuisine in a contemporary presentation with French country flair. There is no corkage fee on Tuesday evenings. The restaurant is open for dinner Tuesday through Thursday 5:30 p.m. -10:30 p.m.; Friday and Saturday 5:30 p.m. -11:30 p.m.; and Sunday 4:30 p.m.-9 p.m. Complimentary parking is available. All major cards are accepted. For more information or to make a reservation, call (847) 441-3100 or visit www.restaurantmichael.com. North Shore pan-Asian restaurant Karma (510 E. Route 83, Mundelein; 847-970-6900) kicks off 2010 with dining deals crafted by executive chef Robert Packer. Available after 5 p.m. now through Jan. 11, the specials transport you on a culinary journey through Asia. Start with Roasted Pear Salad with mixed field greens, candied walnuts and a balsamic soy vinaigrette ($7), then enjoy Grilled Marinated Lamb Chops, purple plum chutney, anise sweet potatoes and wilted Swiss chard ($25). Top off the meal with dessert, Chocolate Cheesecake with Macadamia nut and graham cracker crust ($7). Reservations are recommended. Call (847) 970-6900 or visit http://www.karmachicago.com/. Follow Karma on Twitter: @KarmaMundelein. The management team of Mayne Stage and Act One Café (1328-30 W. Morse Ave.) announces its plans for a much-anticipated Spring 2010 grand opening of the historic theater in the Rogers Park neighborhood. With a nod to the historic past of this grand facility, plans call for a restaurant and performance space that reflects the unique and diverse neighborhood of Rogers Park. Mayne Stage and Act One Café offers up a powerful combination. Act One Café provides a welcoming dining experience with the great taste of New American cuisine on a nightly basis while Mayne Stage presents a variety of terrific entertainment on a regular basis in its 299-seat multipurpose entertainment venue. In addition to the neighborhood crowd, Mayne Stage and Act One Café is a great destination for fans of live entertainment and those seeking a unique and welcoming dining experience from around all of Chicago through the convenience of the nearby Red Line “EL” stop; the venue also provides valet parking for guests. The theater, on Morse Avenue at Wayne Avenue in Rogers Park, opened as The Morse in 1912 - a vaudeville and movie house. In the 1930s, the facility was remodeled using an Art Deco theme and renamed the Co-Ed Theatre because of its proximity to Loyola University. The Co-Ed closed in 1954, and from 1956 until 2008 the building served in various capacities from synagogue to a shoe repair store. Now, with a recent multi-million dollar restoration and renovation project, the entertainment and dining venue is poised to be a magnet for significant development in this north-side neighborhood. Booking and creative development of Mayne Stage is handled by longtime Chicago entertainment professional Denise McGowan of McGowan Durpetti & Associates. With nearly 30 years on the Chicago entertainment scene, McGowan has discovered, developed, booked and showcased talent from nightclubs including Byfield’s to Navy Pier where she served as Director of Entertainment for nine years. “The possibilities in this venue are endless. Mayne Stage offers an amazing opportunity to present emerging and established Chicago and national touring artists presenting a variety of musical styles including jazz, pop, rock and classical as well as theatrical, variety and comedy performances,” McGowan says. In addition to live performance, and utilizing its state-of-the-art audio and video systems, the venue offers space for studio recordings, rehearsals, educational programs, corporate events and private parties. Jimmy Madla of the popular Coobah Restaurant on Southport Avenue in Chicago is heading up Act One Café. Madla is developing a welcoming and vibrant environment, the perfect platform for his New American cuisine. The richly wooded restaurant provides a perfect setting to showcase flavors from America’s melting pot with traditional techniques and creative twists. “Act One Café is an excellent place to hang out for great food and drinks any night of the week. It’s also perfect for meeting friends before or after performances on show nights,” says Madla. Madla’s enthusiasm for this project goes beyond cooking. While chef Madla finds creativity through cooking these days, many fans remember him as the drummer of the popular band Veruca Salt. He looks forward to the musical environment the space has to offer. For additional information regarding entertainment and private events at Mayne Stage, contact Denise McGowan at (312) 988-9900 or at denise@mcgowandurpetti.com. Enjoy a three course meal for lunch or dinner at Dine (733 W. Madison St., Chicago; 312-602-2100) Jan. 8 through Jan. 15. Dine's menu includes the first course, a choice of Salad, roasted red and gold beets, crumbled chevre, orange supreme and balsamic vinaigrette with mixed baby greens, or Appetizer, pumpkin sage ravioli, brown butter and baby arugula. The main course is Rigatoni and Vodka Sauce, with shaved parmigiano and pulled lamb shank. The vegetarian option is Grilled Vegetables and Warm Frisee, with port reduction and basil oil. For dessert, enjoy Apple and Cranberry Cobbler, topped with vanilla ice cream and caramel sauce. The Local Tourist Restaurant Week kicks off Jan. 8, with participating restaurants providing three course meals, with 10% of each meal supporting Endure To Cure, a 501 (c) (3) non-profit that benefits organizations dedicated to pediatric cancer research, treatment and care. Lunch is $25 and dinner is $35. For more information, visit http://www.thelocaltourist.com/. To make a reservation at Dine for The Local Tourist Restaurant Week, call (312) 602-2100 or visit http://www.dinerestaurant.com/. Follow Dine on Twitter: @DineRestaurant.